My little guy loves building with things – he mainly only has block to build with but I was thrilled to receive the opportunity to let him try out the Kid K’Nex Undersea Friends Building Set. 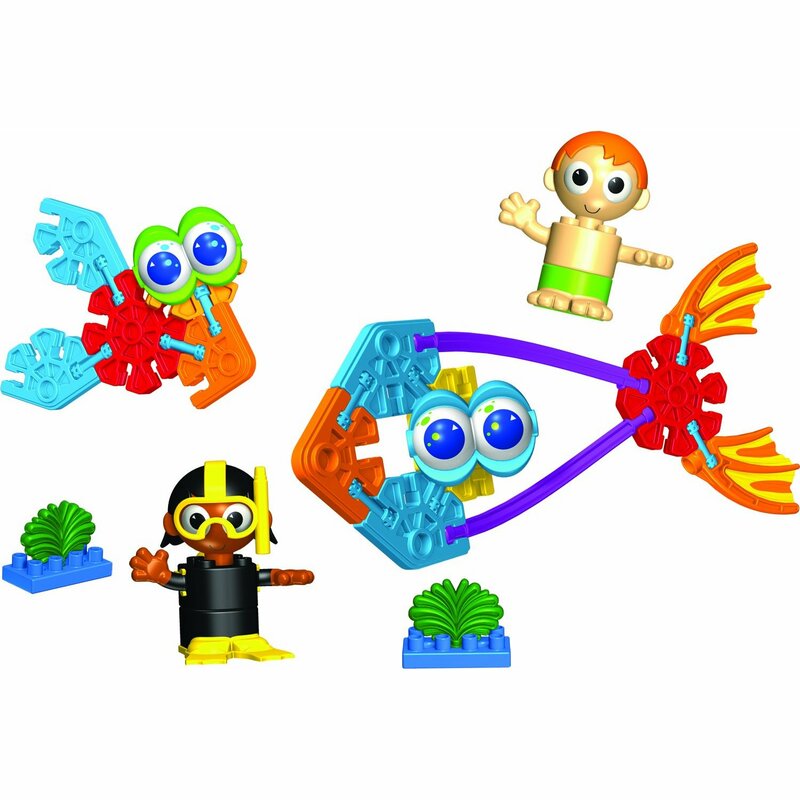 Kid K’Nex are designed for younger kids and I am so glad that K’Nex offers them because our older kids have them and they love them. 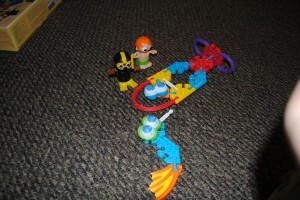 I also love how they can help develope motor skills and other developmental skills during play. The Undersea Friends Building Set is recommended for ages 3 years and older and comes with 48 pieces. My little guy is only 2 years old and I don’t mind him playing with them. There are some smaller rod pieces so if you get one of these sets for your child younger than 3 years, I would make sure they are supervised if they still put things in their mouth. Our little guy rarely puts anything in his mouth unless it’s his fingers but we only get them out when we can sit down with him to play. I think the manufacturers age recommendation is very suitable even though we play with them with our 2 year old only because of the smaller pieces. 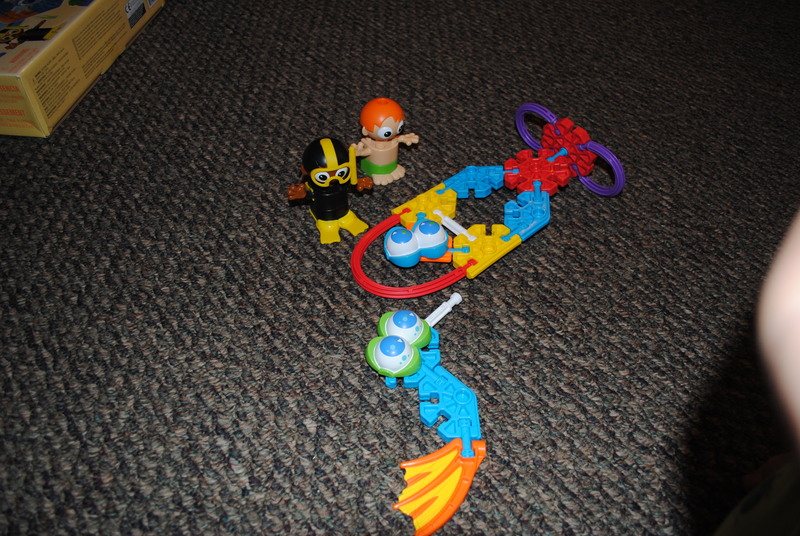 As you can see, the pieces are really colorful and they are a lot bigger than regular K’Nex pieces and are kind of chunky. 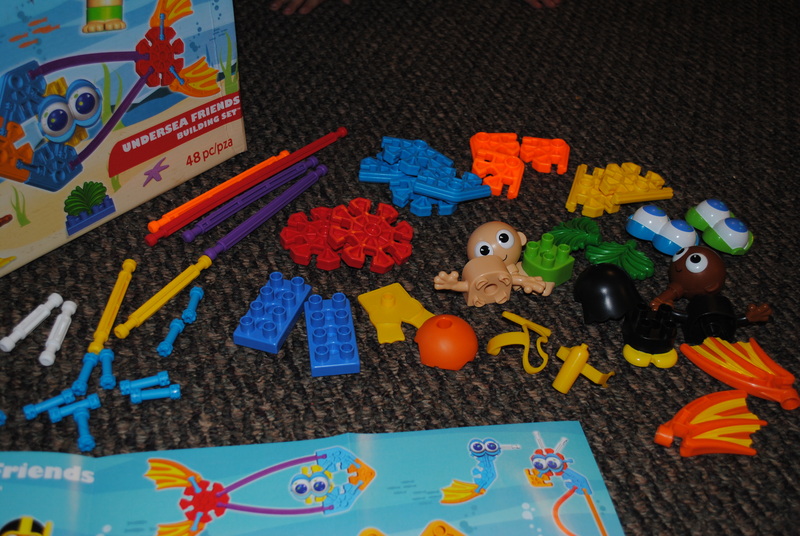 This makes it a lot easier for younger kids to hold and fit together to build their undersea friends. 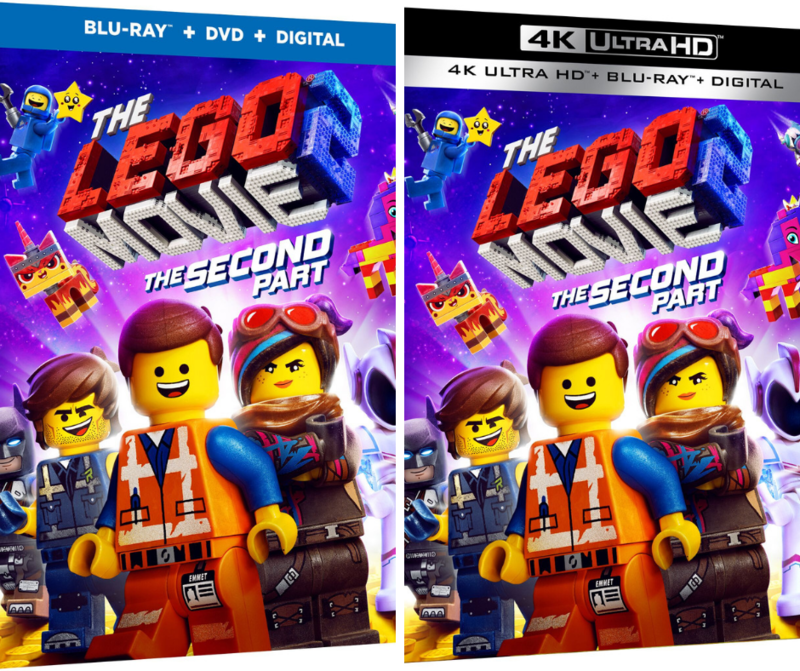 There are two people that are included in the set. A suffer guy and a diver guy that also somes with a removable oxygen tank and goggles which our little guy likes to take off and put back on again – over and over. There are a lot of really fun pieces including 2 pairs of eyes, flippers or fins, and sea grass pieces. There isn’t really any instructions because you can build whatever you like with them. There is a building guide though to show all different kinds of things you can build with them though. They are really easy to figure out just by looking at the pictures. Our 2 year old doesn’t build what’s in the pictures yet but our 5 year old can do them in a snap. I also have a 4 year old nephew that has also played with them and they are easy for him to follow. In my opinion, they aren’t TOO easy for that age to get bored with and they aren’t difficult either. The longer rod pieces are bendable which I like because with younger kids, when they want to connect something, they want to connect something. Since they bend, they can make the rod bend to fit into another side of the piece they are attaching it too such as the fish in the pictures and images above. The bigger pieces (connectors) or “star” pieces as my son likes to call them are made of plastic and are really durable. At the same time, they are somewhat soft too if that makes sense. They also kind of have a rubbery feel too them although they are plastic. I think this is great because it allows younger kids to fit the pieces together easier and they are also easier for them to take apart. 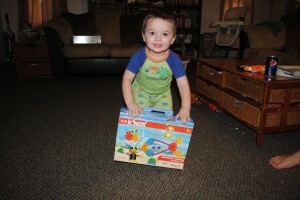 They do stay together really well too because our little guy will play with something that was built for a long time. If anything would come off, it would be because he was actually trying to take them apart. 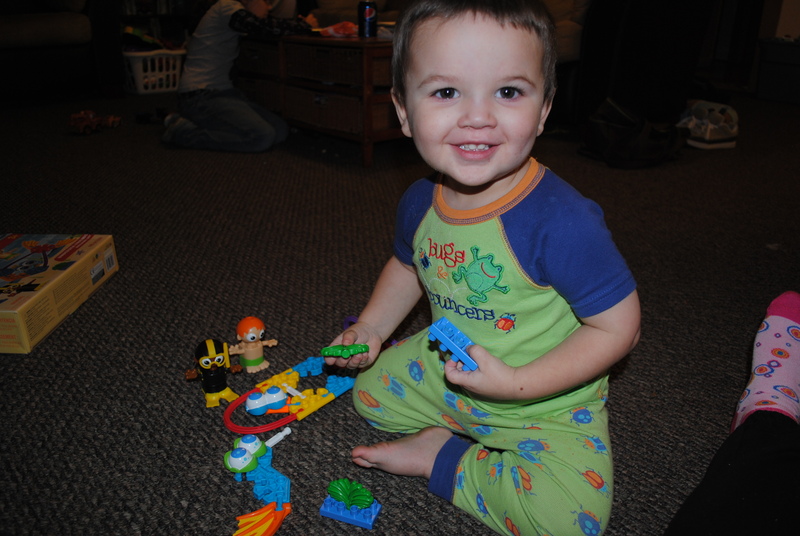 Our son doesn’t have any problems fitting the pieces together himself even at age 2. He does really well with them and it’s so fun to watch him to see what he ends up building. When he is finished, he has to show us and we can tell he is so proud of himself. I think they are wonderful at that age for learning hand-eye coordination, learning to show creativity, and even learning how things work. He loves the eye pieces. If your kids have any regular K’Nex, you know that the connector “star” pieces usually have a hole in the middle of them. These ones have a hole but the hole doesn’t go all the way through – it stops. The rod pieces and the eyes can still be put into these holes so that the rods can stand straight up and the eyes can stay on. There are so many things to do with them and we love them! I have a feeling that these building sets will be on our holiday list this year! 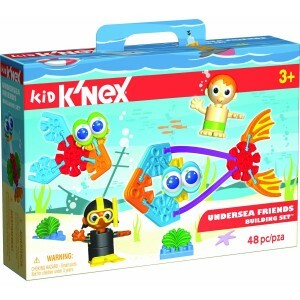 Buy It: Visit the K’Nex website to buy your Kid K’Nex Undersea Friends Building Set for $20.99 or any other related building sets! You can also find them at Target and Walmart – check their site to find where you can shop near you. Win It! 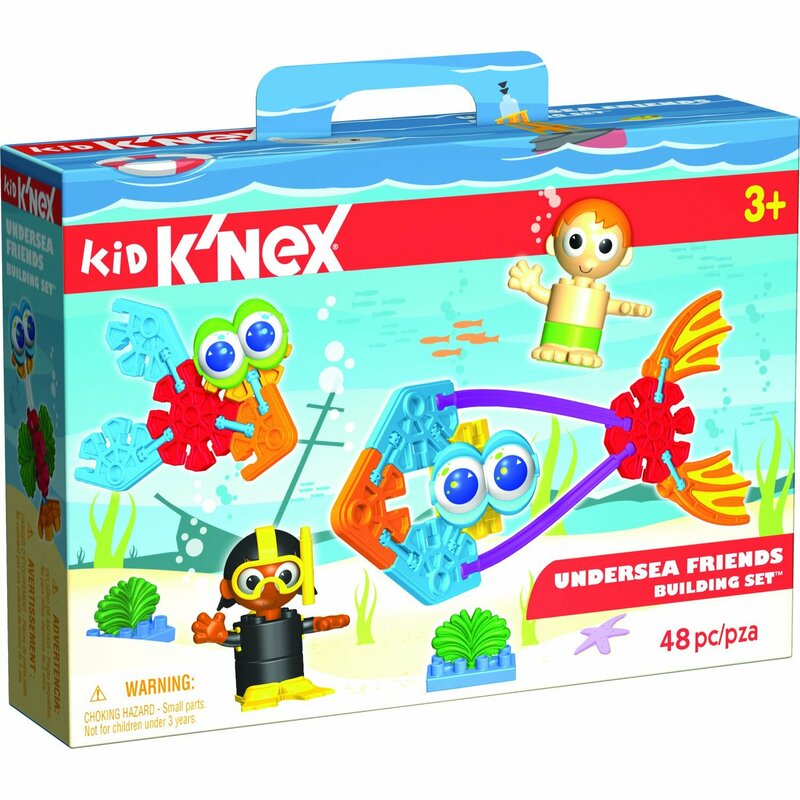 Thanks to K’Nex, one of my lucky DustinNikki Mommy of Three readers will win a Kids K’Nex Undersea Friends Building Set for themselves! It is no longer necessary to leave your email in your comment since you have to leave your email when submitting your comment for approval. That way the only person that will see your email will be me. All entries will be checked and if there are any comments that do not count or qualify as an entry, they will be deleted. Leave a separate comment for each entry so that they are counted correctly. For example, if you post my button somewhere, leave 3 separate comments since it is worth 3 entries. *Share this giveaway on Facebook. 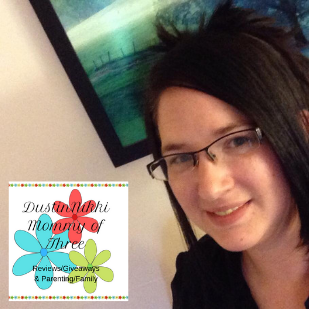 Feel free to just hit the “post to facebook” button (it’s not the “like” button) at the bottom of my post. Make sure to leave the link to your post in your comment so that I can check. (3 entries) One time entry unlike tweeting. 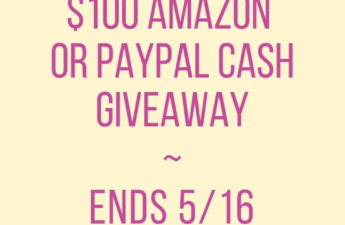 Giveaway is open only to the US and Canada. Giveaway will end December 1 December 3 @11:59pm EST. Winner will be chosen using random.org. Winner will have 48 hours to respond after I contact via email. If winner does not respond, a new winner will be chosen. Good Luck! I entered the Excedrin giveaway. My little boys would enjoy either of the monsters packs. the new doubleshot coaster would be awesome! google +1 the My Hikes post. Added to favorites on Stumle Upon. I follow you on Stumble Upon. 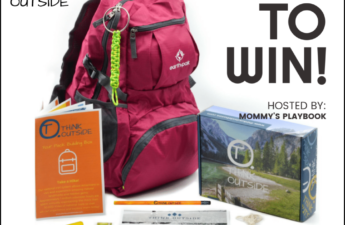 I entered the My Hikes giveaway. My daughter would love any of the Kid K’nex kits but I think the Models that Move kit would be her favorite. The coaster sets look like a lot of fun. I commented on the GameStop Black Friday post. I commented on the Frecklebox Early Black Friday post. I placed my daily vote. I voted for you today. I commented on the K’Nex Wii Mario and Yoshi post. The link above is wrong. Here’s the correct link. I entered the CrazyDog T-shirts giveaway. My grandsons would love the Fun With Monsters. I like K’nex on fb. I entered the aerobie skylighter giveaway. I follow k’nex on Facebook (jody g h…). I follow you on Facebook (jody g h…). I follow with gfc (psychdog) and I know my kids would love the Amusement Park Series #2. I entered Crazy Dog giveaway. I entered the Skylighter giveaway. I like K’NEX on facebook. GFC follower and my son would like the Mario Kart Wii set. I would love to try a complex one, like the light up ferris wheel!